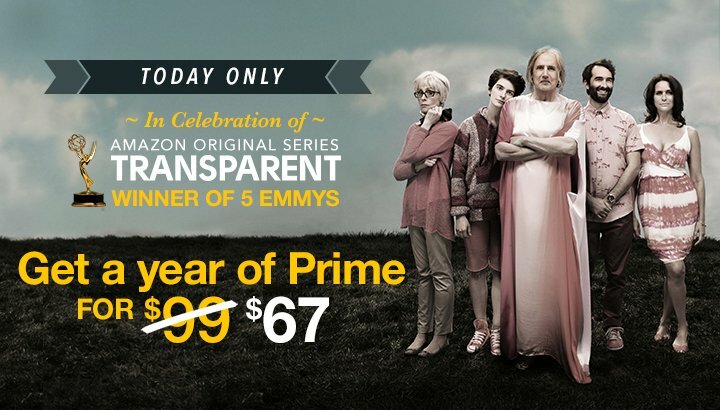 Today only, celebrate Amazon’s Emmy wins with this special sale on a new Amazon Prime membership! Get Amazon Prime for just $67 (reg $99) for one year. And in select areas (including Indy! ), Amazon Prime members can get free same day shipping on thousands of items as well. Read more about why I think it’s worth it. Join Amazon Prime today for only $67 for your first year! Offer ends at 11:59pm ET 9/25/15.